Price Reduced. Lovely 3 bedroom 2 full bath home located in the sought after neighbourhood of Parkview. 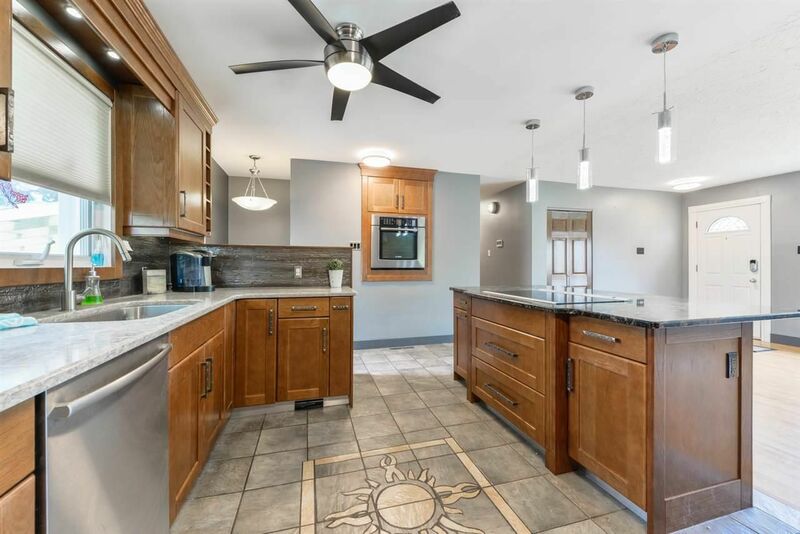 The main floor offers a large spacious open concept kitchen has has been renovated with Bosch appliances , high end slate floors ,granite countertops and high end bak splash. Main living room boast a picture window that overlooks a majestic yard. There are three spacious bedrooms on the main floor with a newly renovated bath. The lower level offers a large family room that was used for a theatre room with a built in stage and surround system hook ups. The fourth bedroom is ideal for a guest or young adults with an adjacent bathroom that has been custom fitted with a steam shower with numerous features . Large spacious back yard offering a double oversized heated garage . Newer furnace hot water tank, hot tub and air conditioner plus newer windows and doors are some of the upgrades this home has to offer. Grant Mac. Nait .U of A.